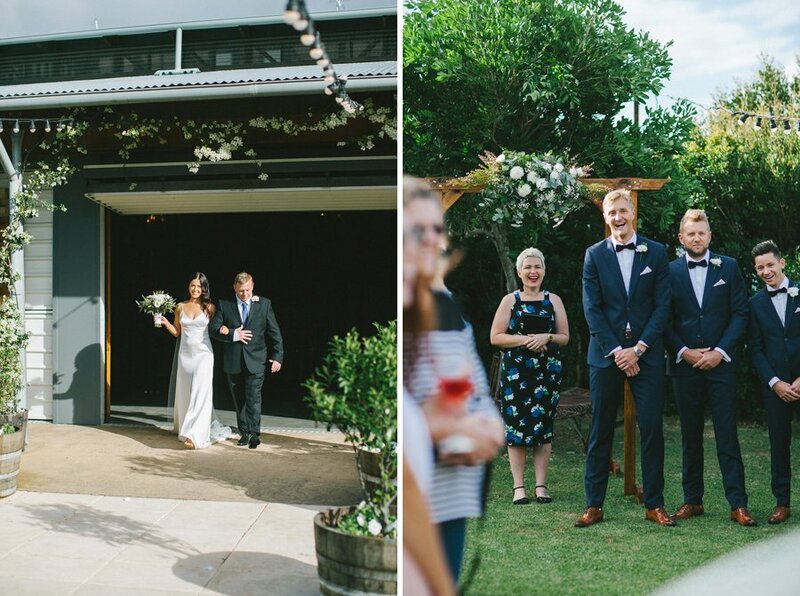 We stumbled across Osteria by chance on Instagram and immediately fell in love with the venue. 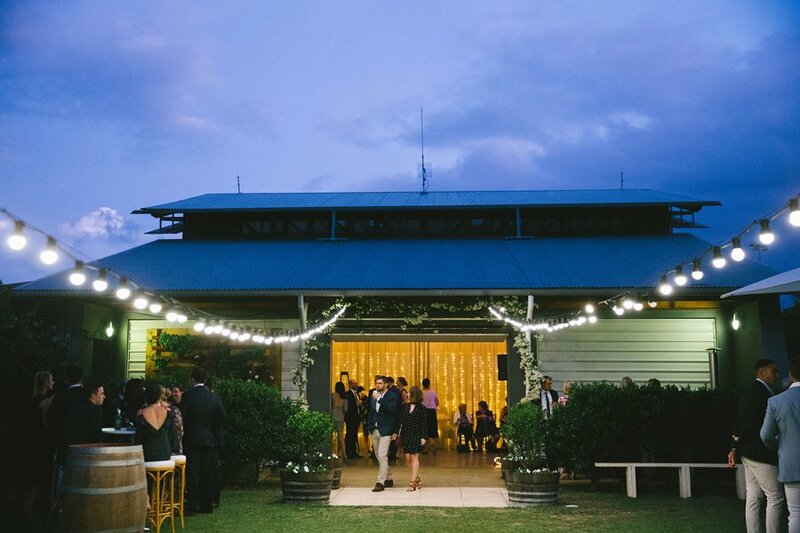 We had looked at a few venues in Brisbane, but none of them felt quite right. 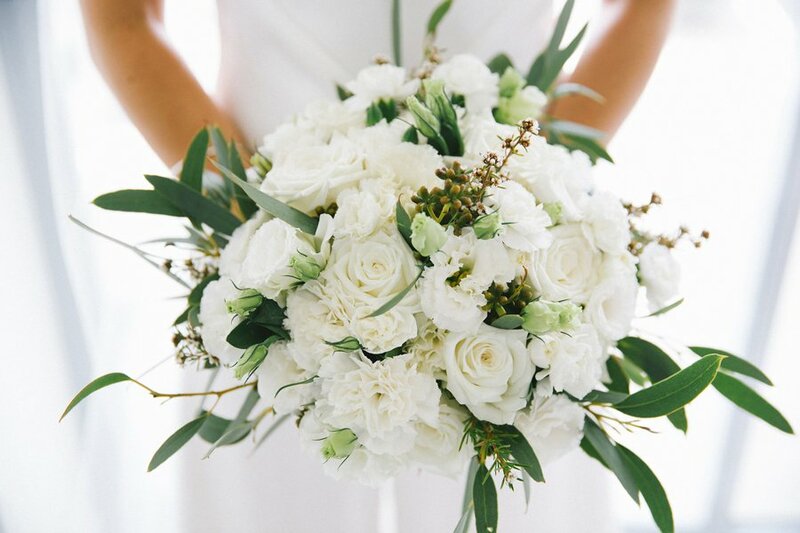 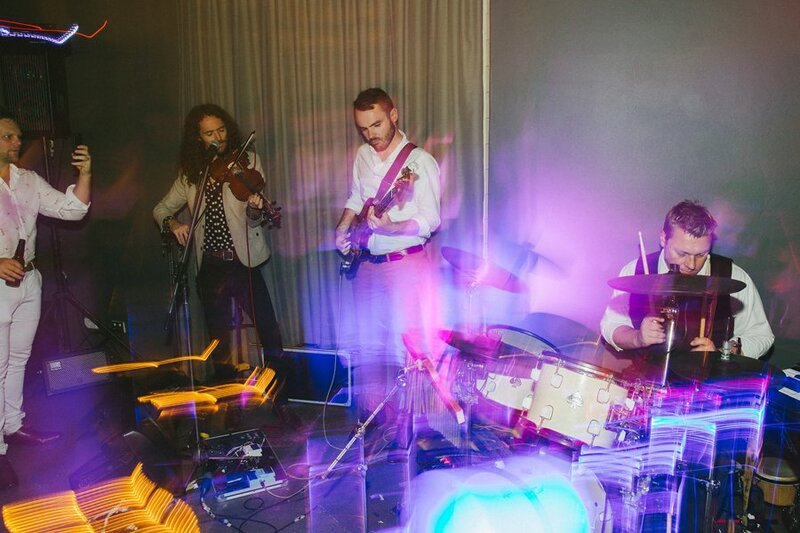 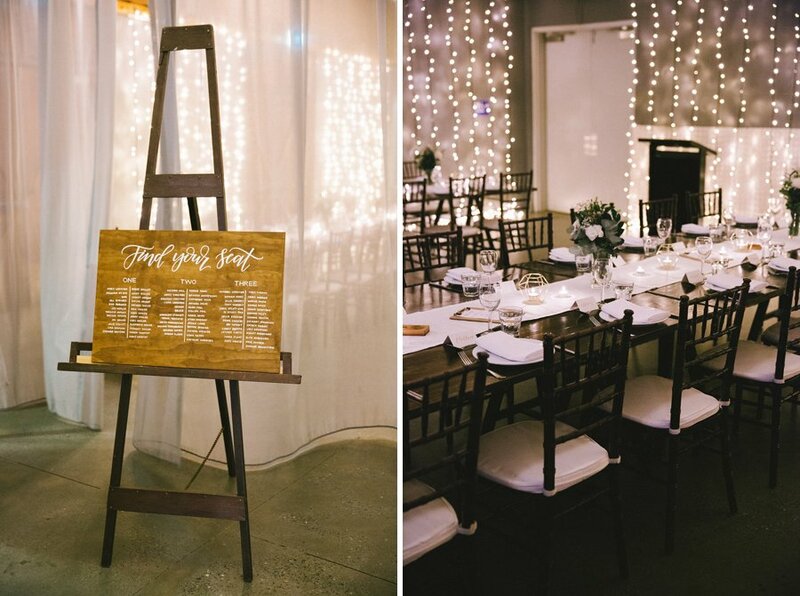 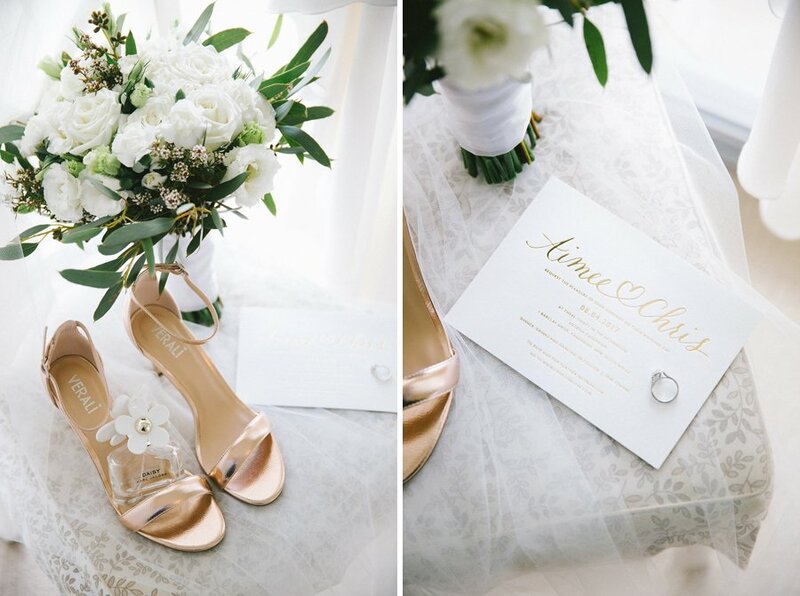 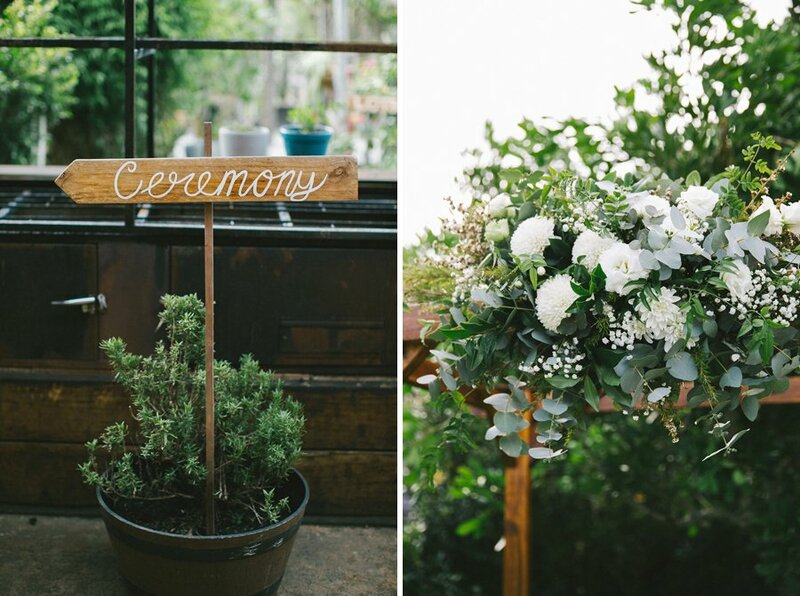 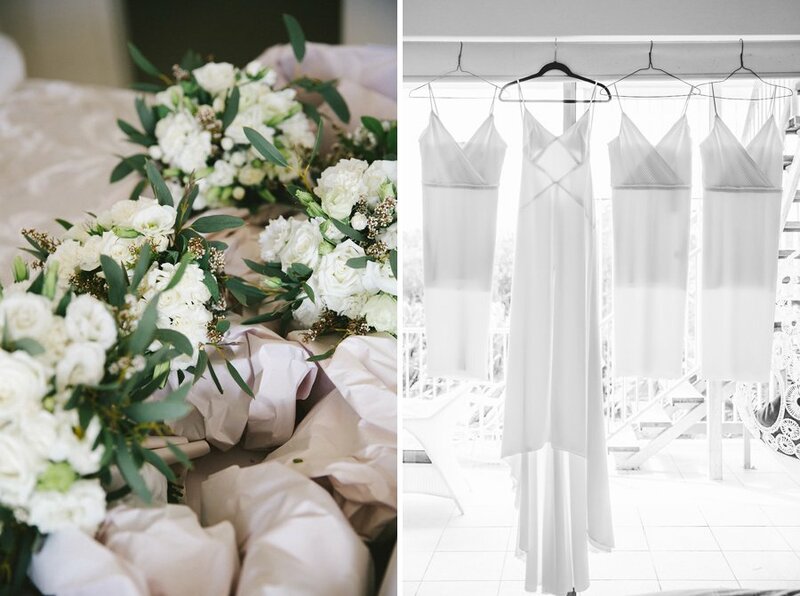 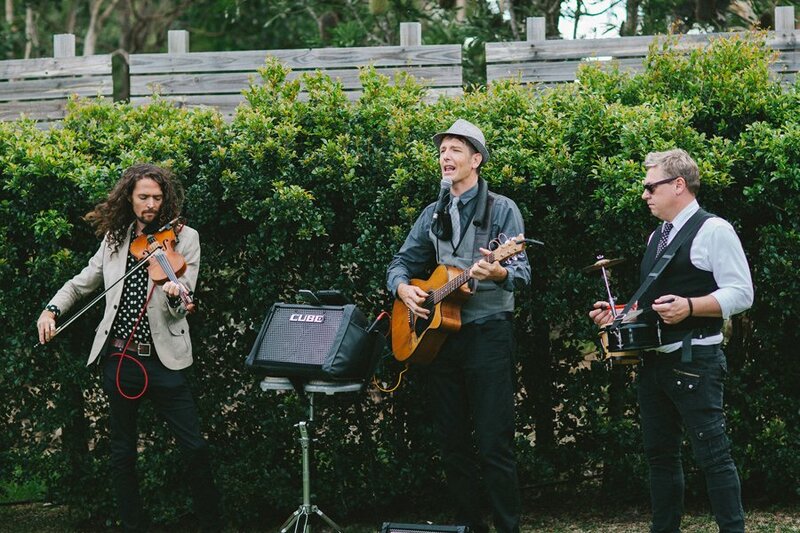 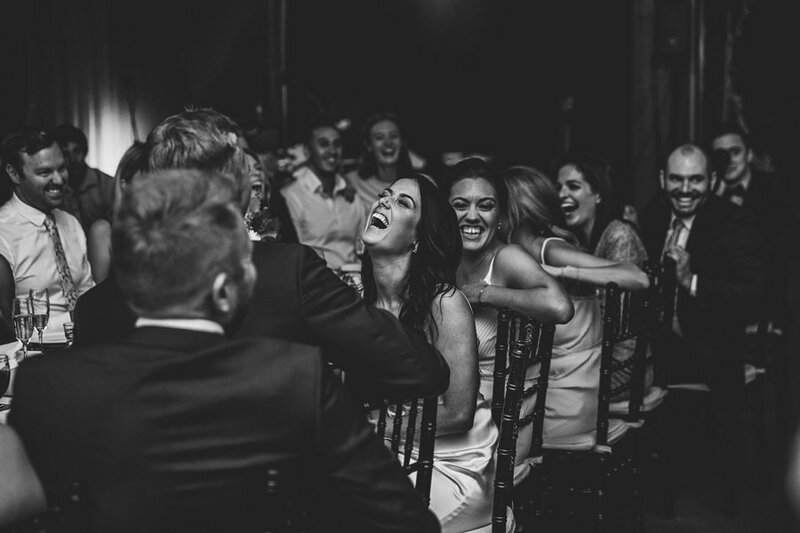 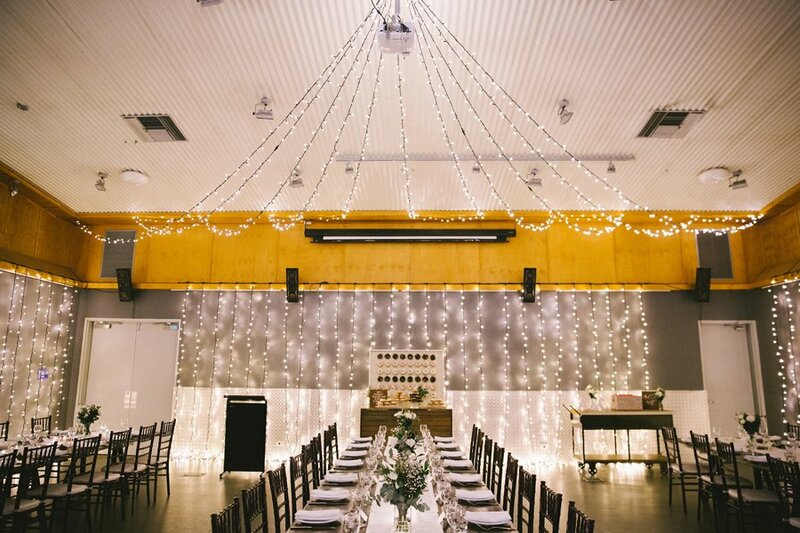 We wanted a venue that reflected our personalities and that felt both intimate and relaxed. 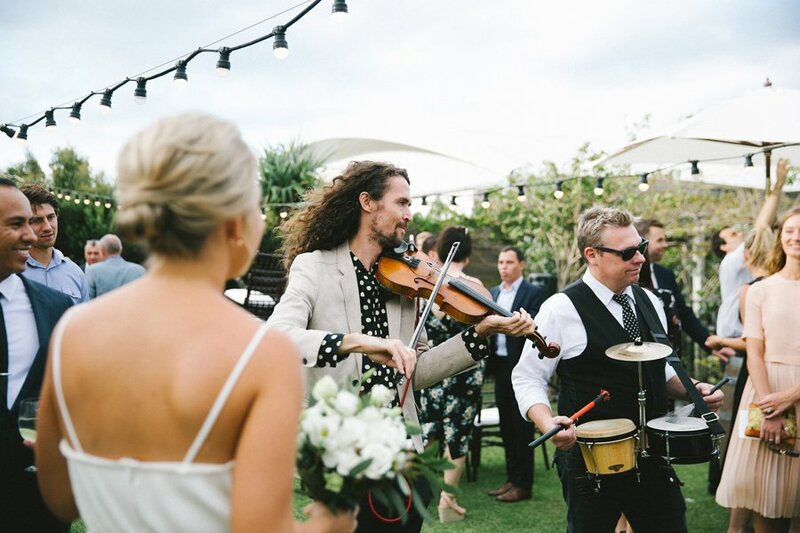 We live in Melbourne but both our families are from Brisbane so we knew we wanted a venue in a place where our family and friends could come and make a weekend out of it. 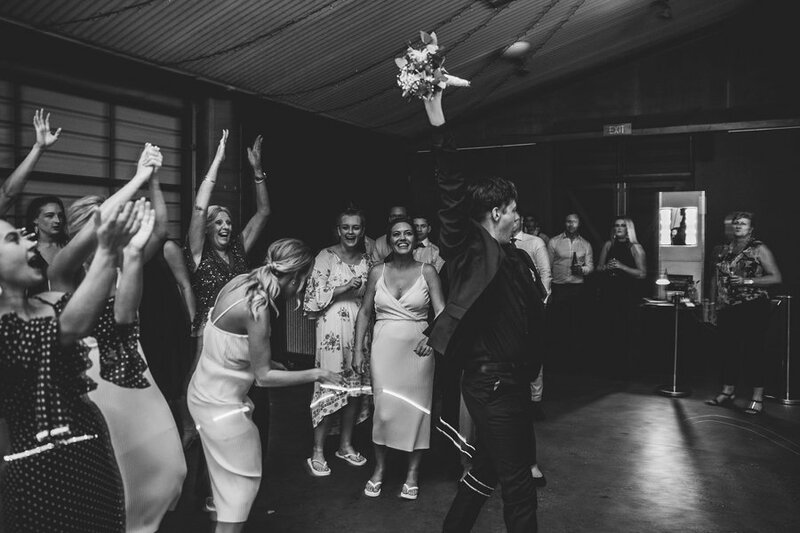 Even though we had both lived just over an hour away in Brisbane for 25 Years, we had never been to the Kingscliff/ Casuarina region but fell completely in love with the area the first time we took a day trip down to check out the venue. 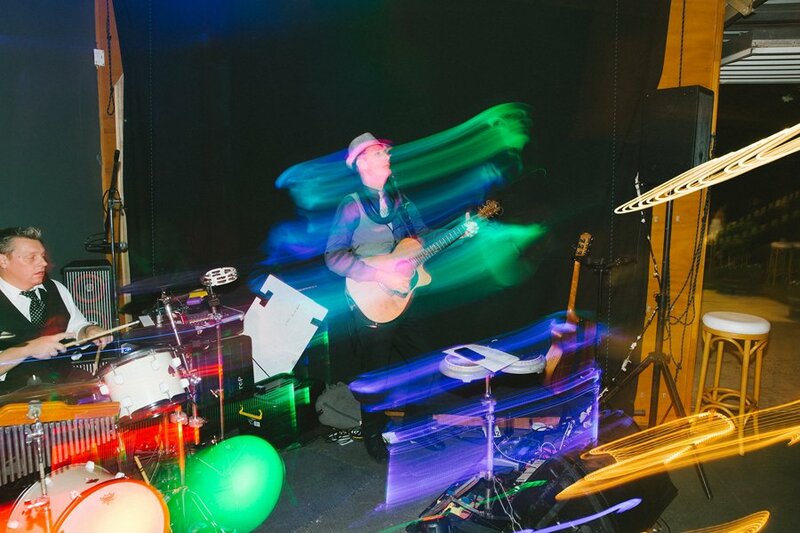 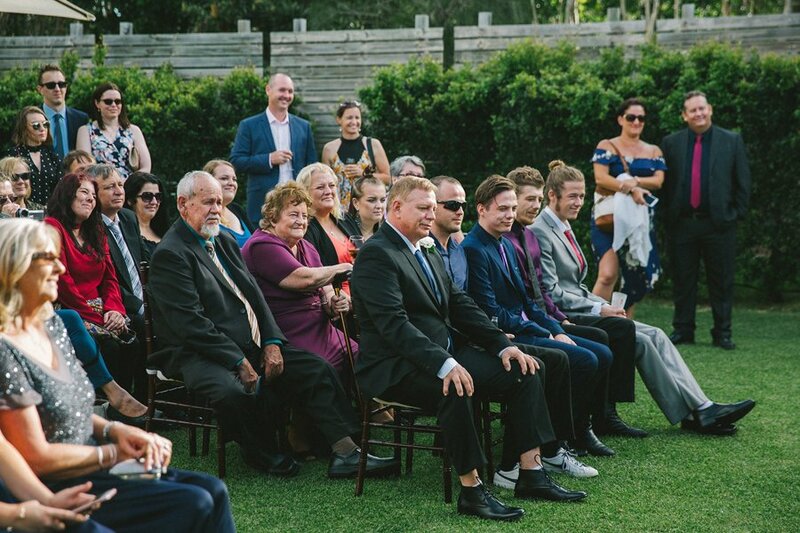 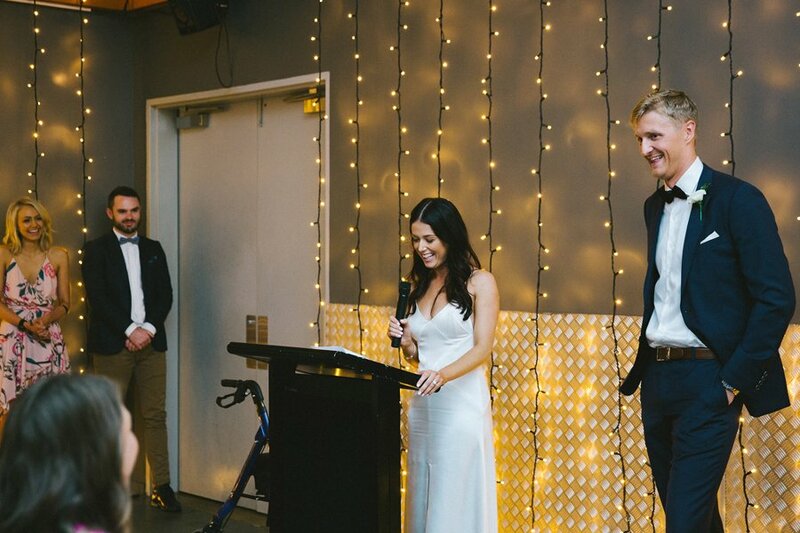 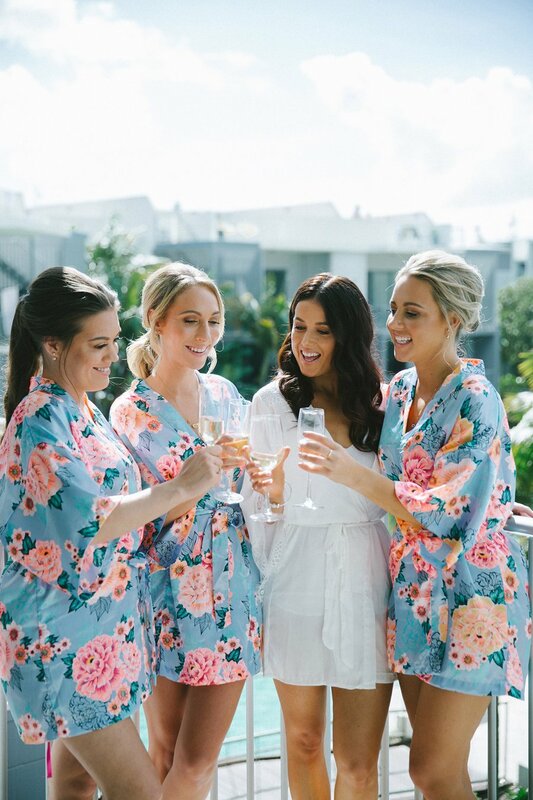 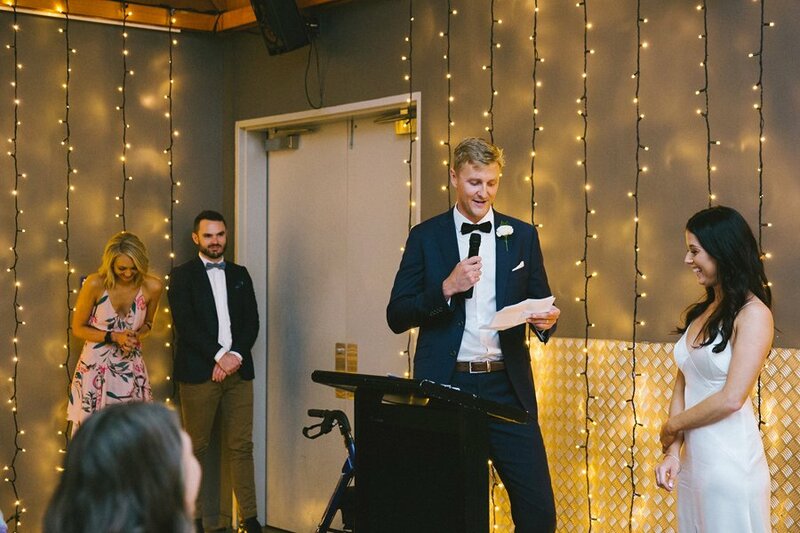 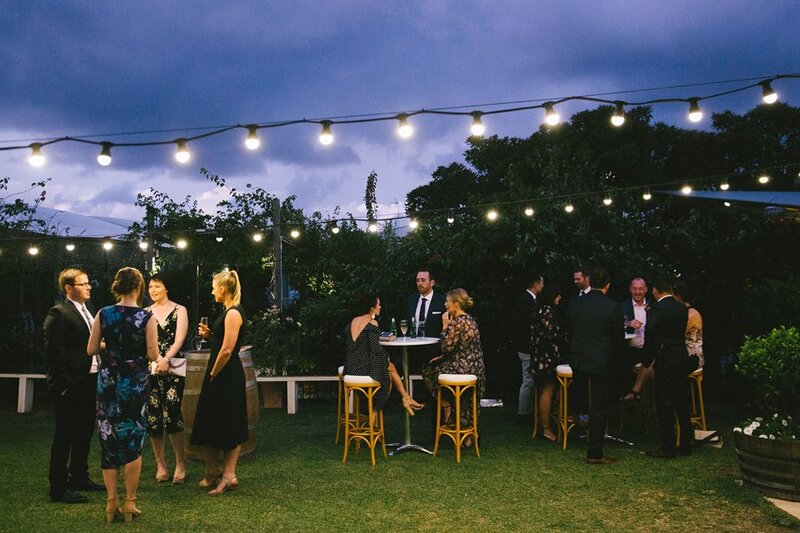 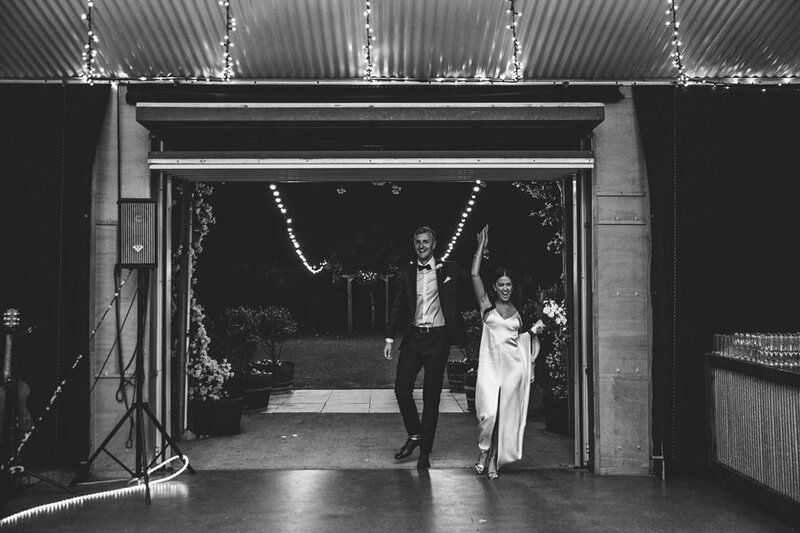 It also helped our venue decision that the community had an abundance of amazing vendors that fit our style and that were easy to communicate, especially as everything had to be organised remotely from Melbourne. 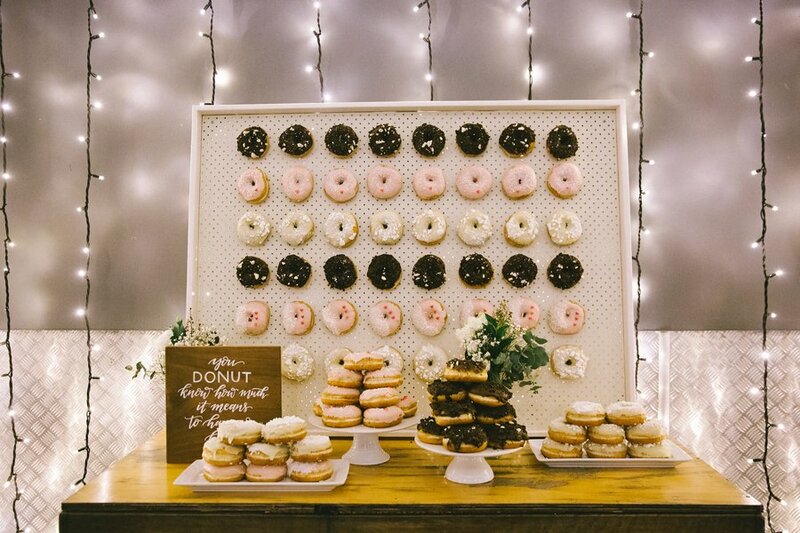 We wanted a low fuss, casual wedding and wanted to make it our own, so we strayed from some of the usual traditions such as going with a donut wall instead of a wedding cake, allowing our guests to join us for our first dance and also by having a shared feasting menu for the dinner. 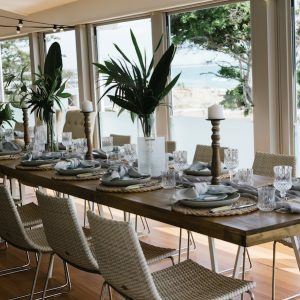 The food was very important to us and the feasting menu and quality of the food on the night absolutely impressed all our guests (no one went hungry that’s for sure!). 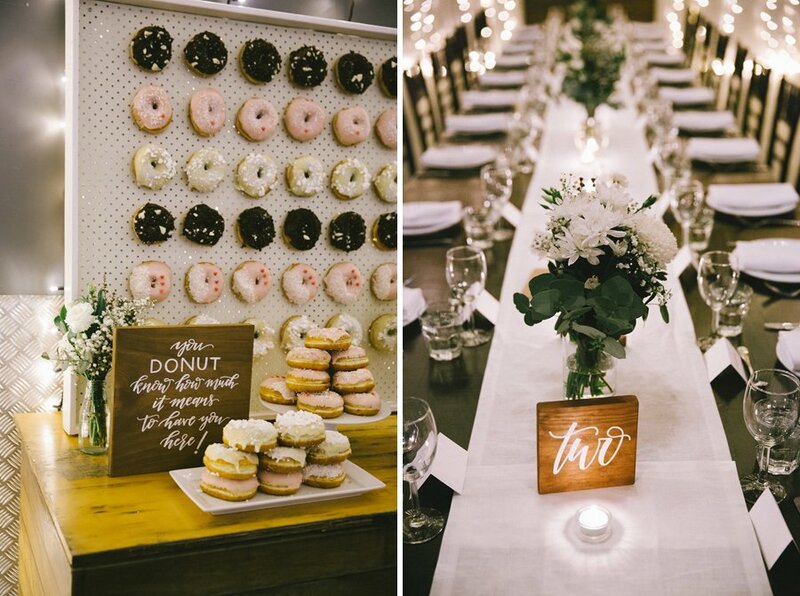 Our friends and family were raving about how great the setup and food was for weeks after (The donut was especially very popular) We also wanted our styling to be minimalist, clean and simple, so we went with lots of white and greenery with hints of gold. 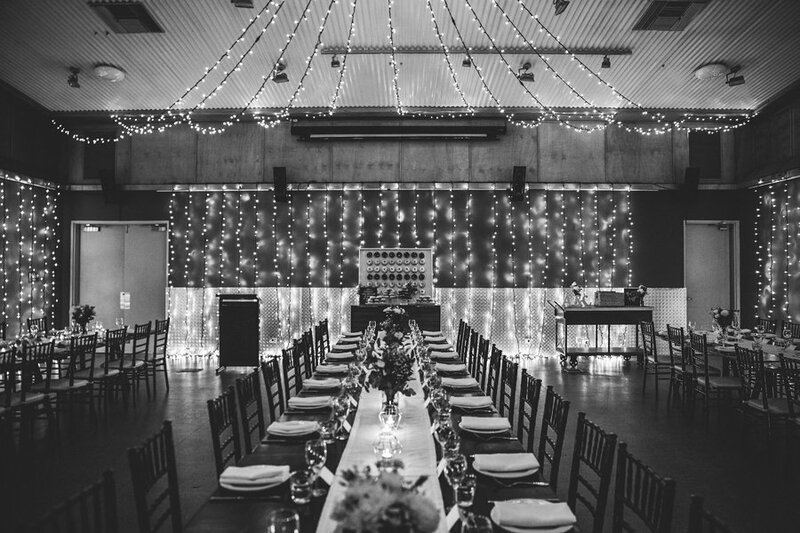 We didn’t need to worry about too much styling as the lighting in Osteria is already incredible, especially the fairy light back wall! 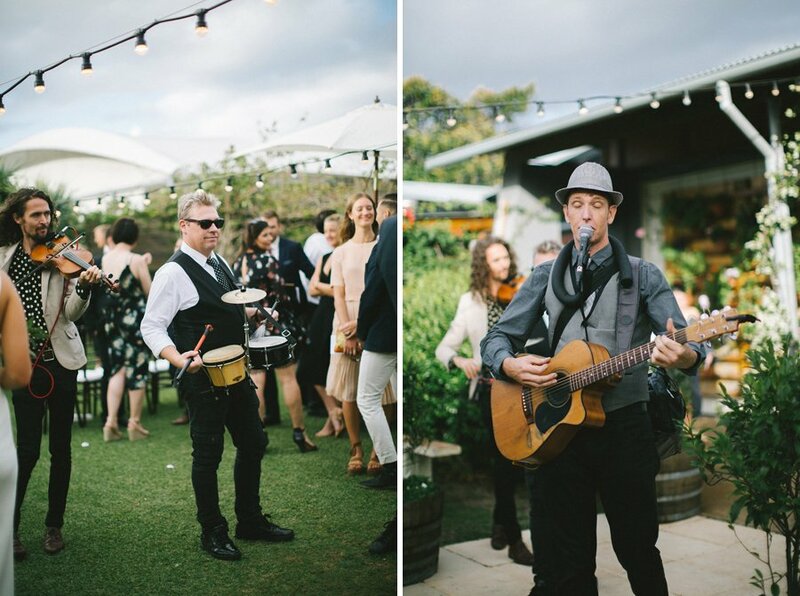 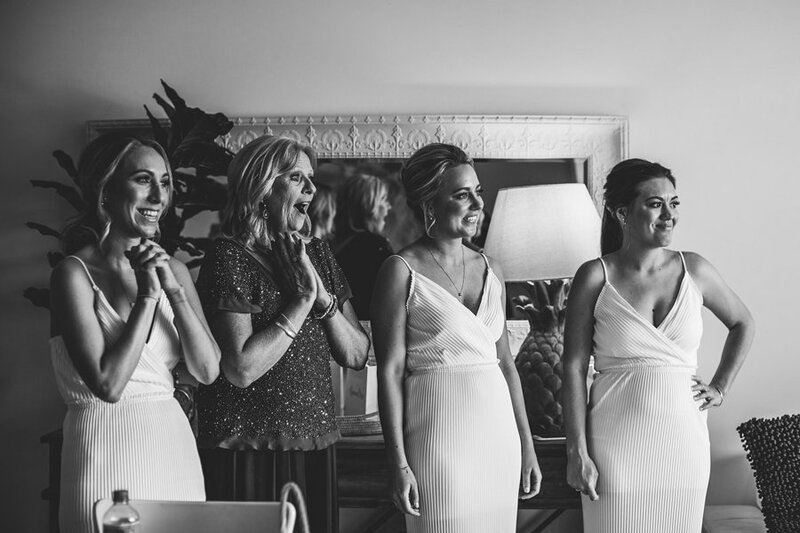 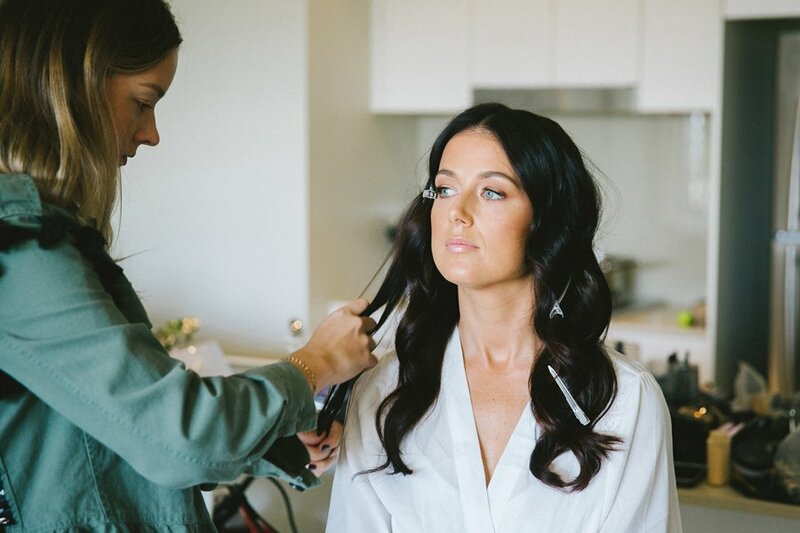 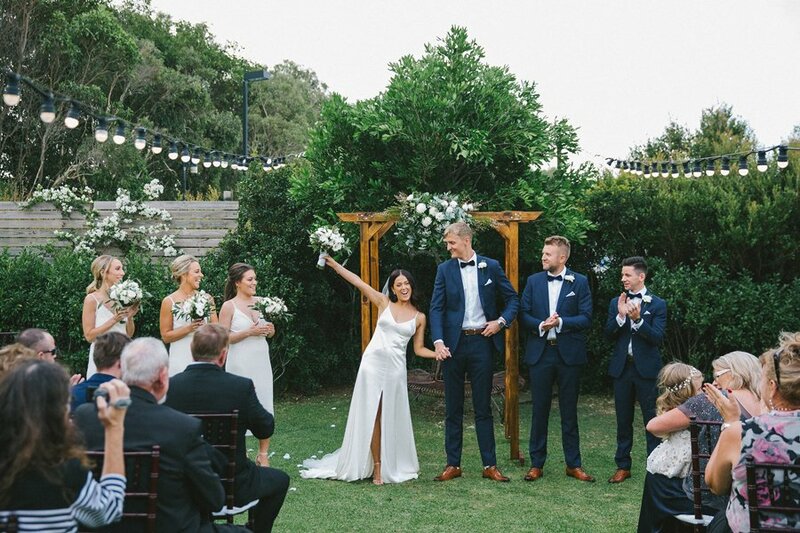 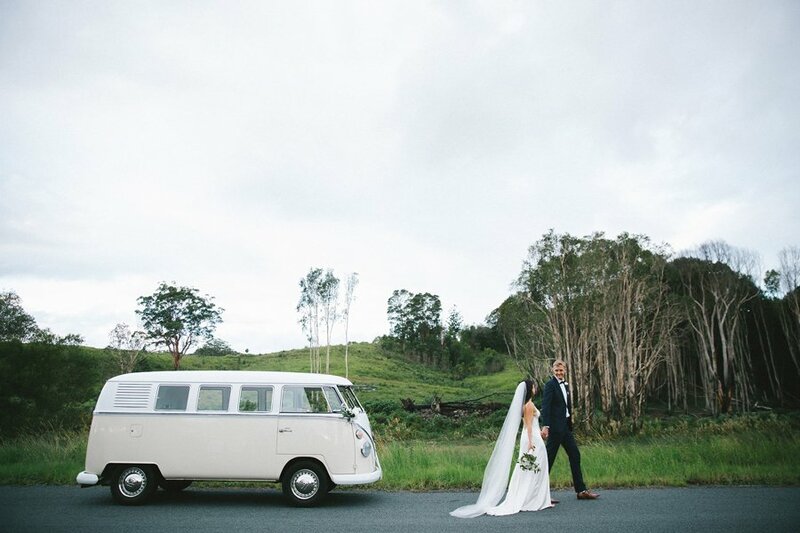 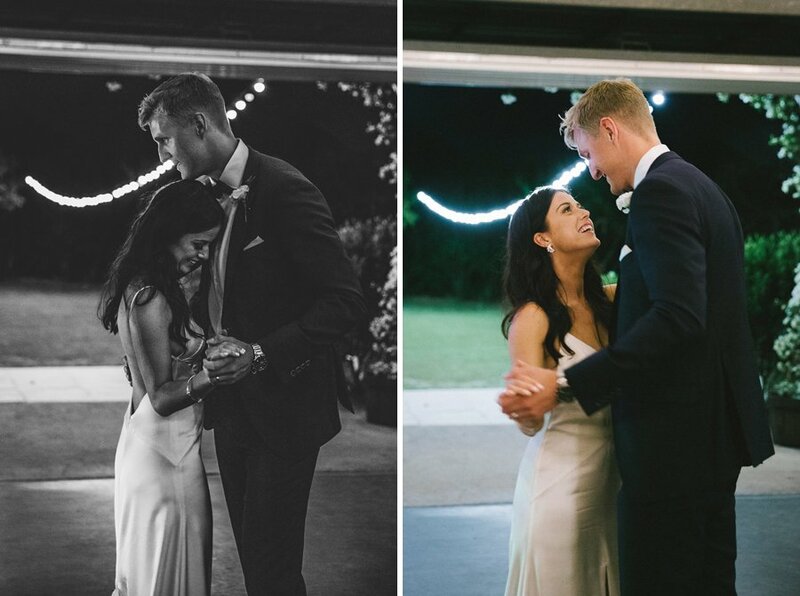 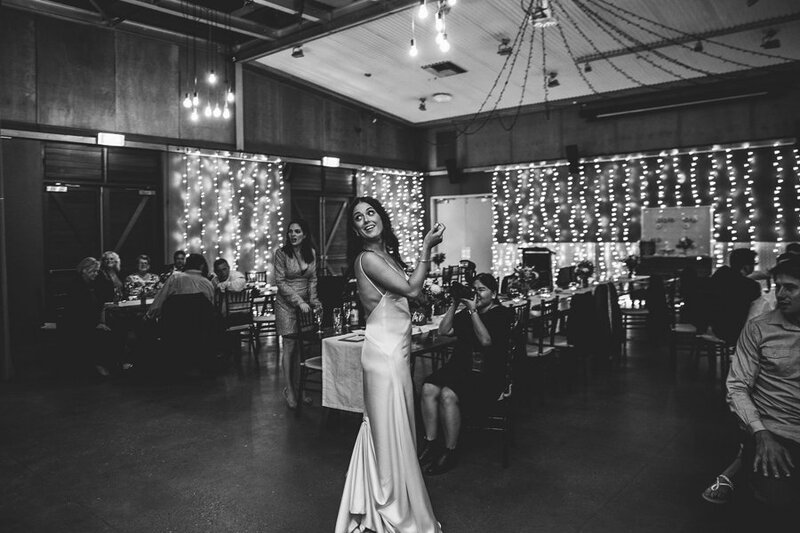 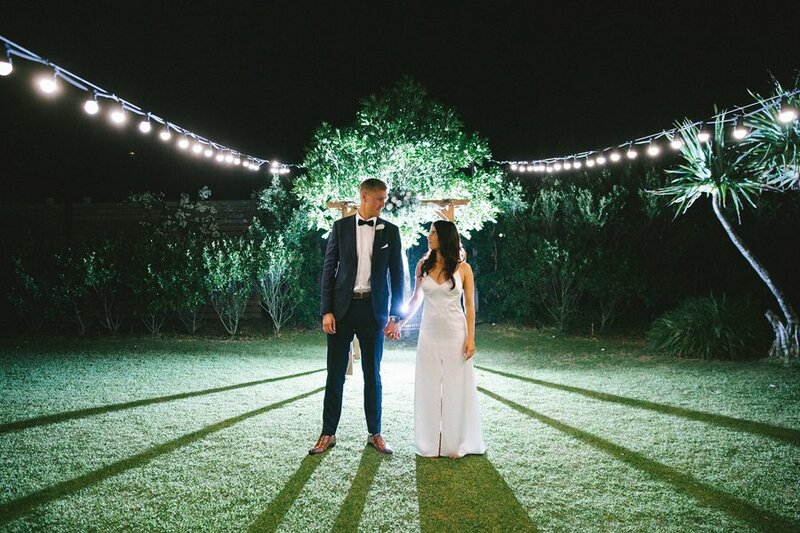 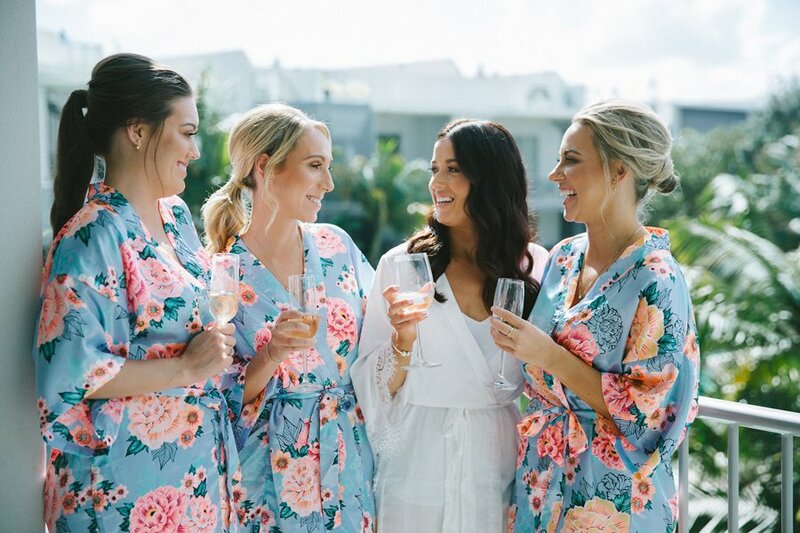 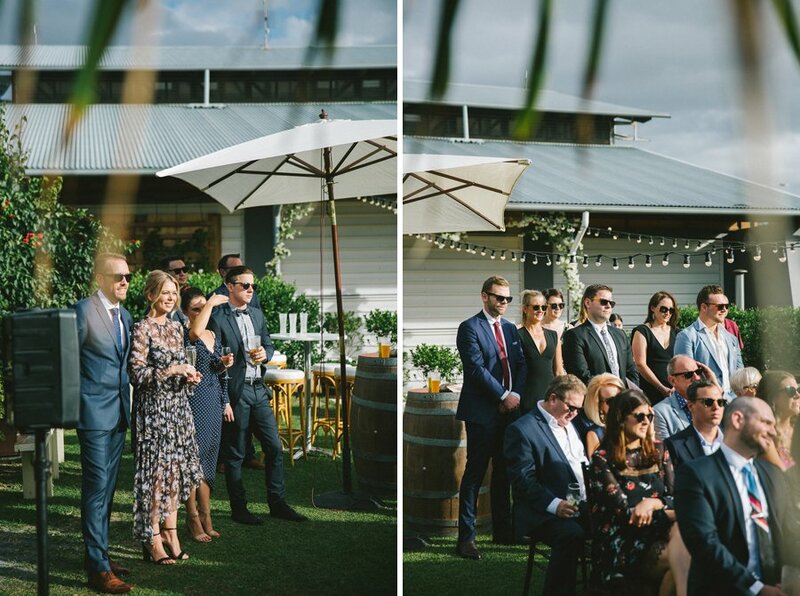 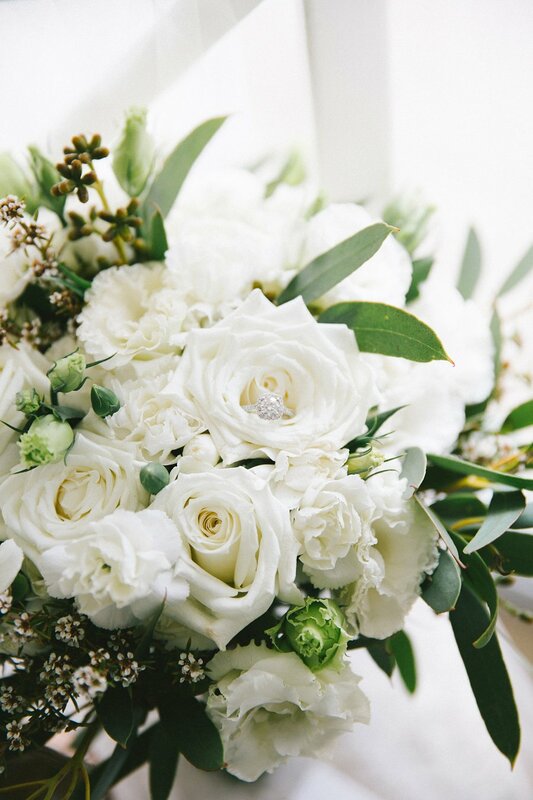 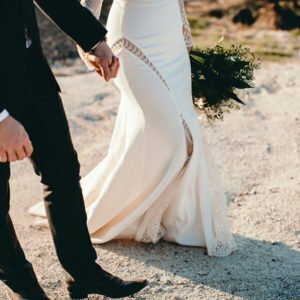 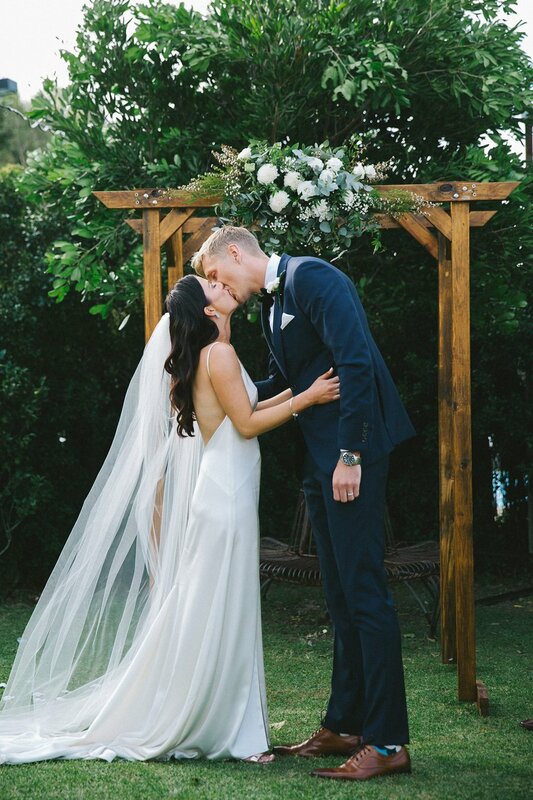 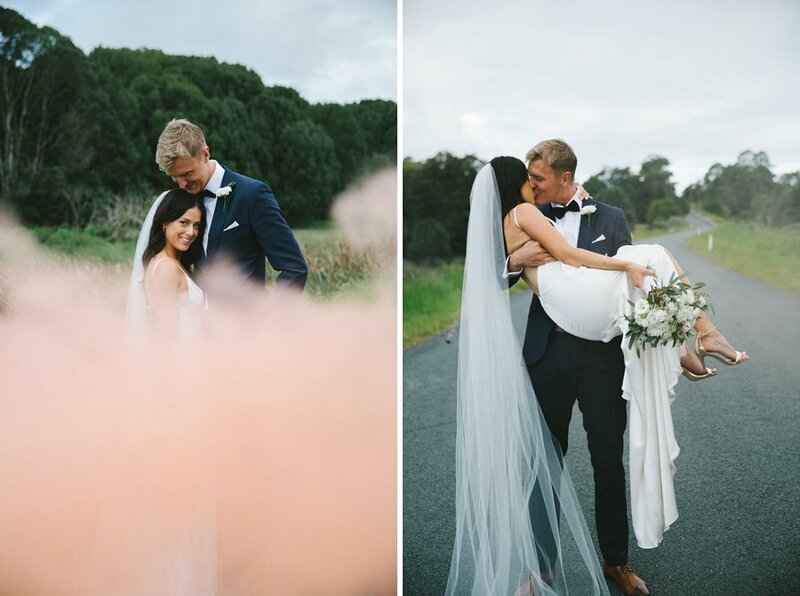 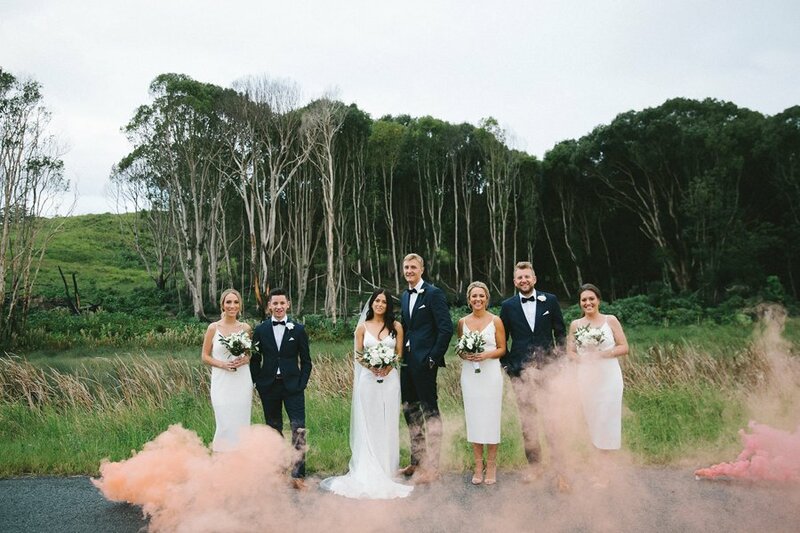 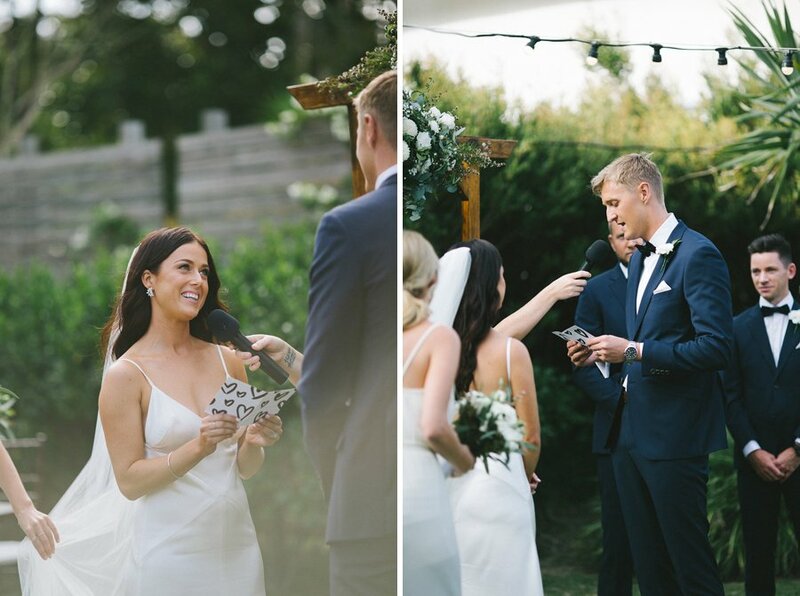 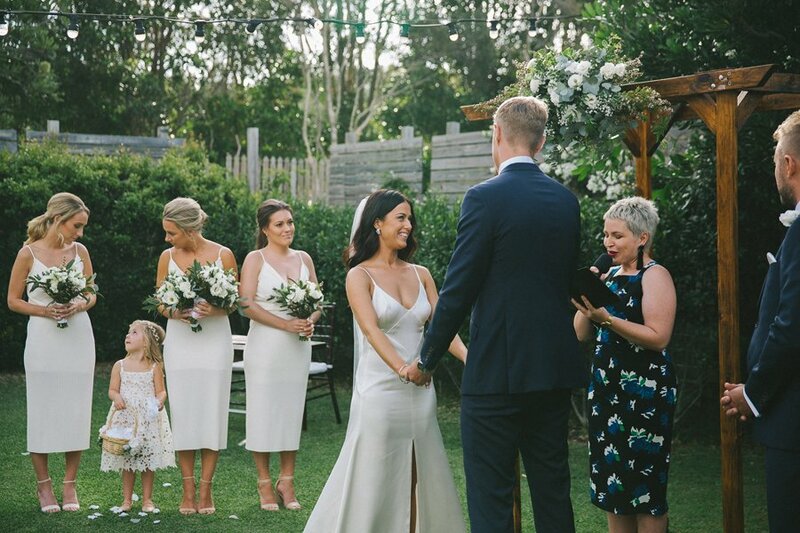 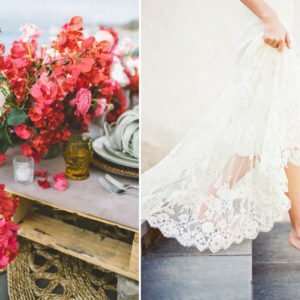 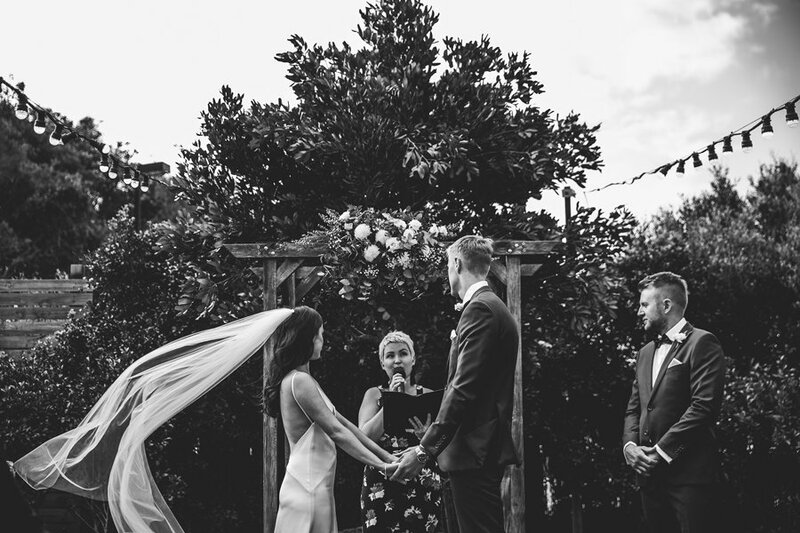 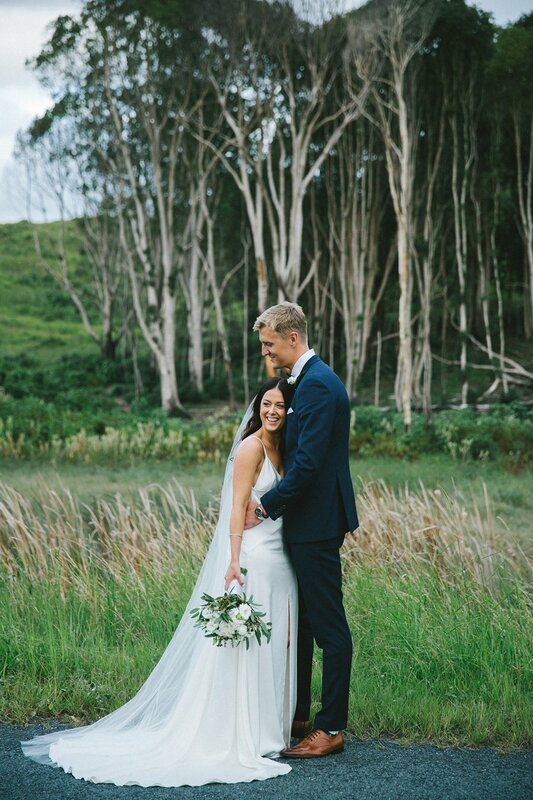 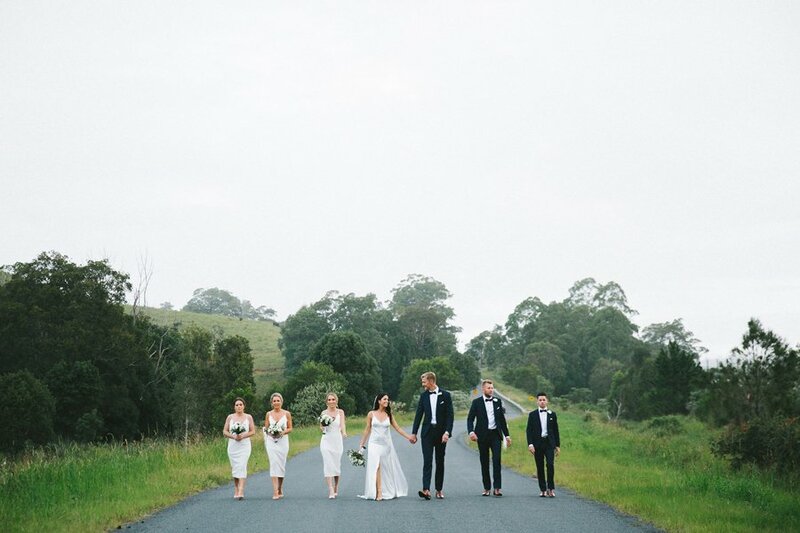 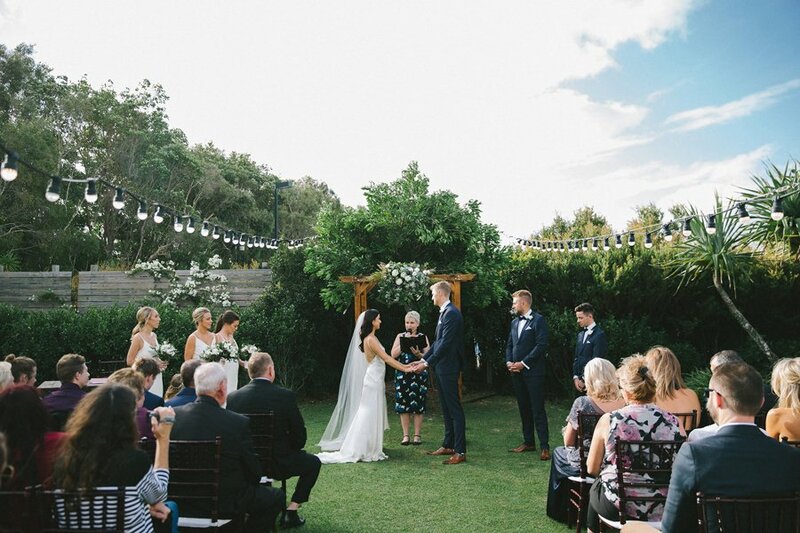 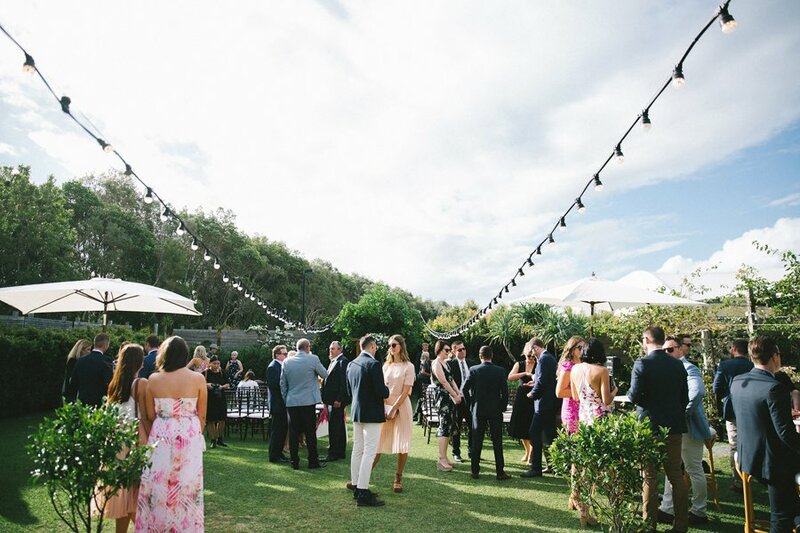 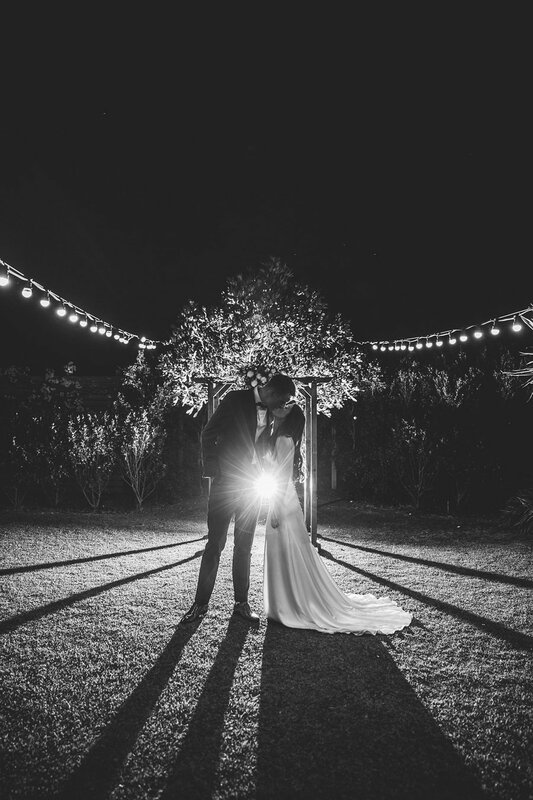 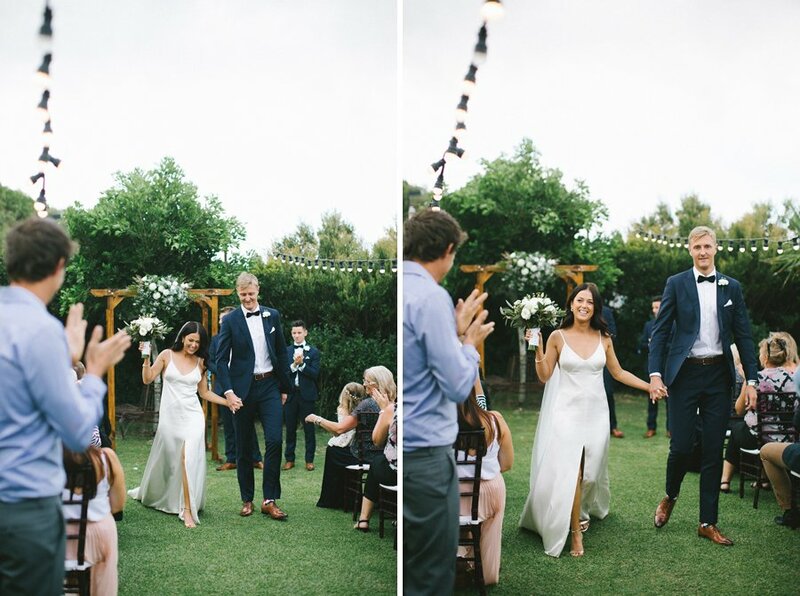 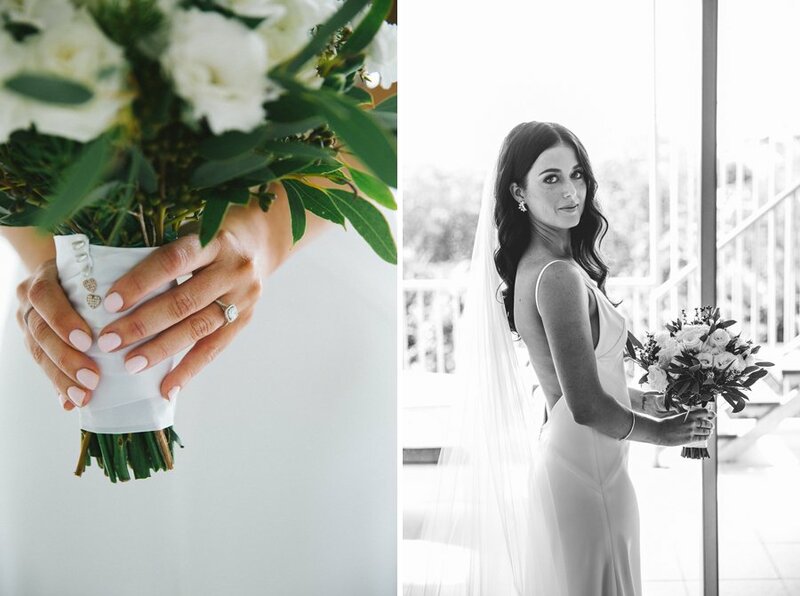 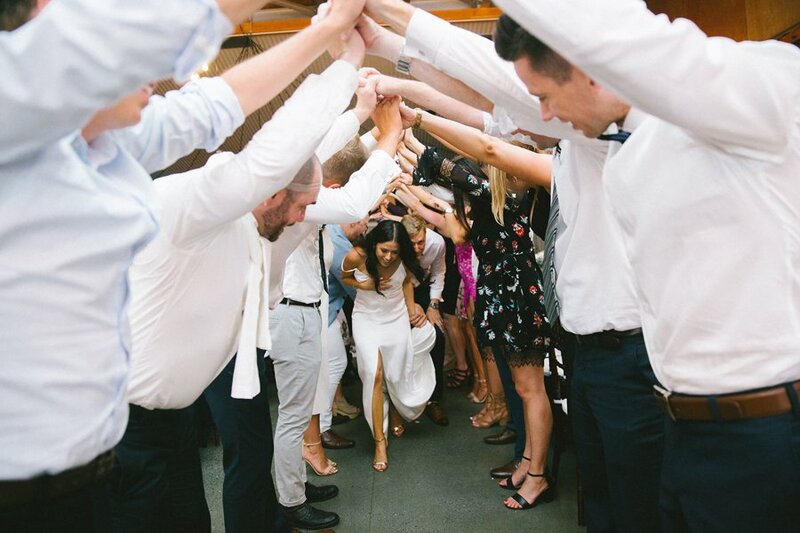 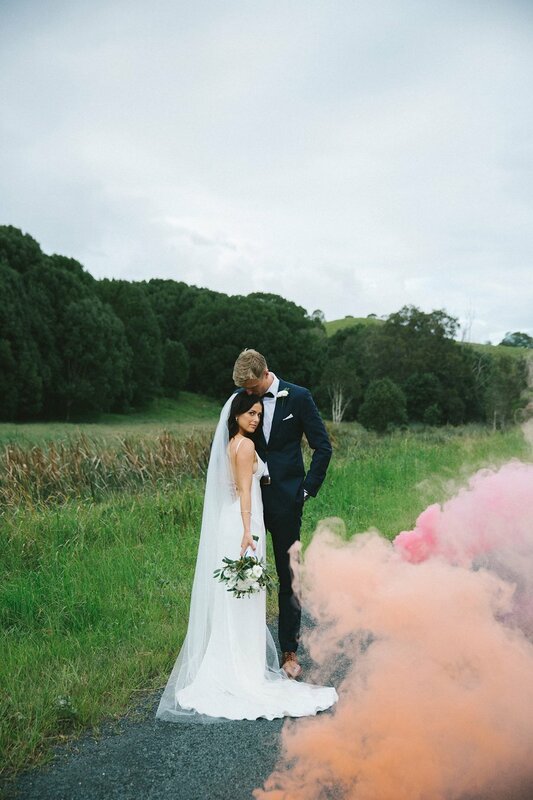 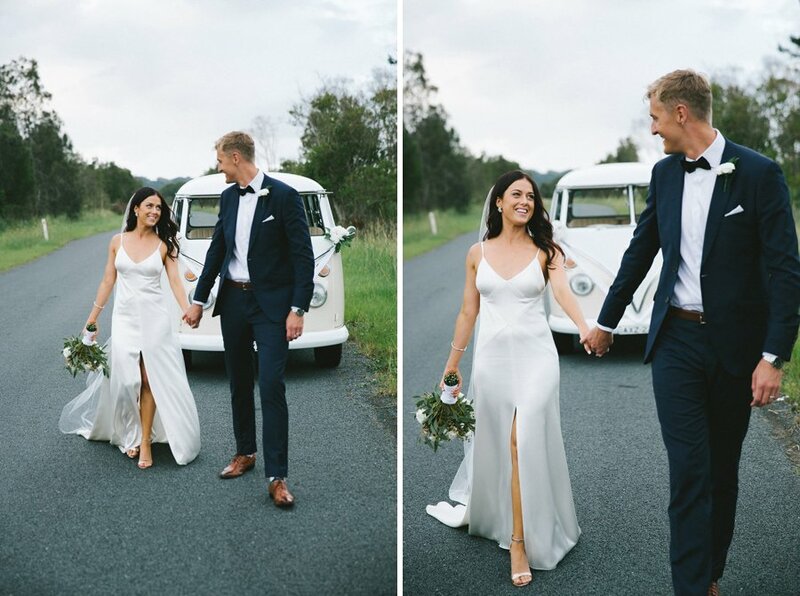 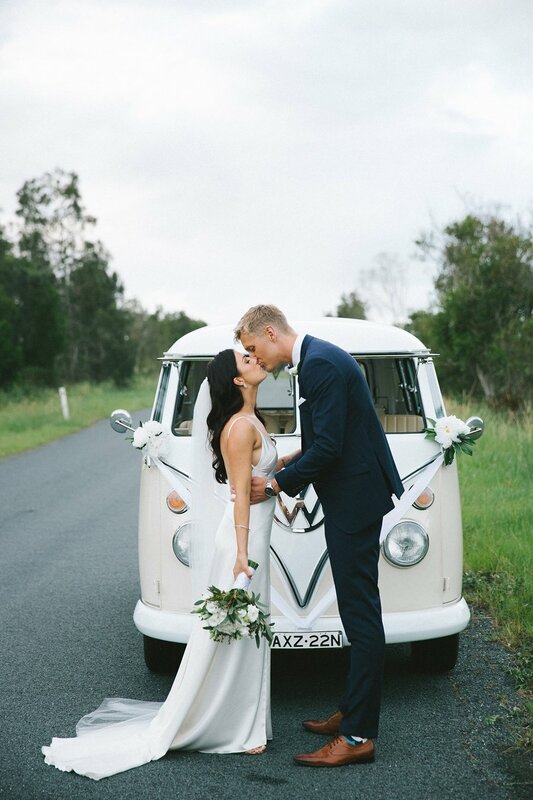 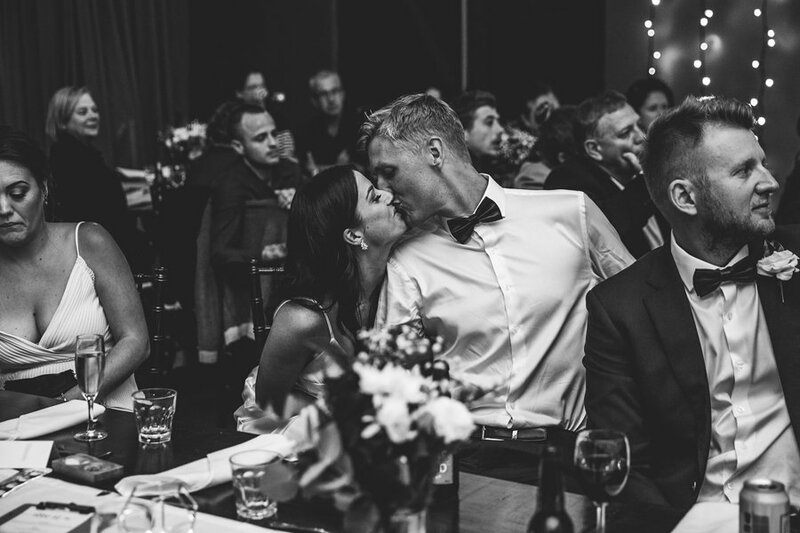 We wanted our day to be all about us celebrating our love with our favourite people – with good food, good wine and great music and the day definitely lived up to our expectations. 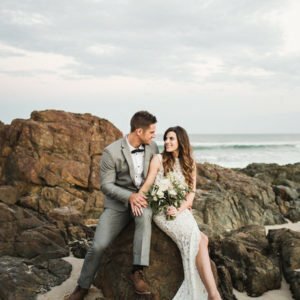 There’s nothing I would do differently.